It's early in the morning and I'm jet lagged, as I just got back from the International Fundraising Congress (IFC), produced by The Resource Alliance. This conference is held every October in Noordwijk, The Netherlands, just outside of Amsterdam, and is a gathering of thought leaders and innovators in the charitable/philanthropic/NGO sector. This was only my second trip to The Netherlands, but I've already developed a short list of "must do" places in Amsterdam. So here are a few of my picks, from a total newbie tourist perspective! I think this is my favorite bar in the world. This is the place for jenever and beer. Please don't come in fussing about Sauvignon Blanc. David (in the picture above) has been our bartender three of the four times we were here, and he remembered us by visit two! He was very helpful about guiding us through the multiple styles of jenever and the history of the bar. Go old school and have oude jenever and a Heineken. You also must drink the jenever properly, as shown here. This bar has been in operation since 1650, and holds claim to being the oldest bar in Amsterdam. While this place has been on many travel shows, it has never seemed crowded. This was one of my favorite meals of this trip. Lively atmosphere and appropriately old setting for a solid Dutch meal. We started with herring and jenever, which was a great pairing to cut through the oiliness of the fish. We then moved on to the eel soup, which tastes strongly of the mustard and the smokiness of the eel--it had more of a meaty taste than fish. We split the shrimp krokketen, and then had two generous entrees: the marrow peas and the sauerkraut stamppot. These are definitely winter weather foods! Heavy, but in a comfort food way. The staff is very friendly and helpful with the menu if you have questions. Natalia, our server, was fun to banter with! Great food, service, and a good value. Kitchen is open until 10:30 p.m.
Another "light" lunch at this classic. Everyone on Yelp and Trip Advisor said to order one of the steaks. That was good advice. 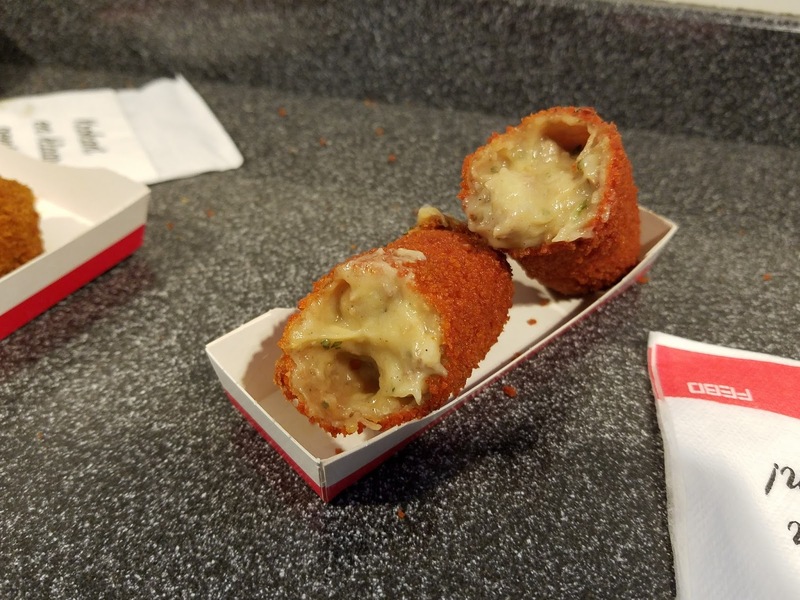 Their filets are prepared in butter, and you have your choice of just butter, the spicy version ("Bali") or the "de Roode Waard" version, which has onions, bacon, and chicken livers. We, of course, went all in, and ordered the "loaded" one, and it was delicious. These are old fashioned automats, and they serve fried nuggets of goodness. Krokketen are a big thing in The Netherlands: breaded, fried snacks with a meat and gravy filling. If you have exact change, usually 1.80-3 euros, you can get the snack from the vending machine. If you don't, that's okay, you can order at the counter and have your krokket made fresh. 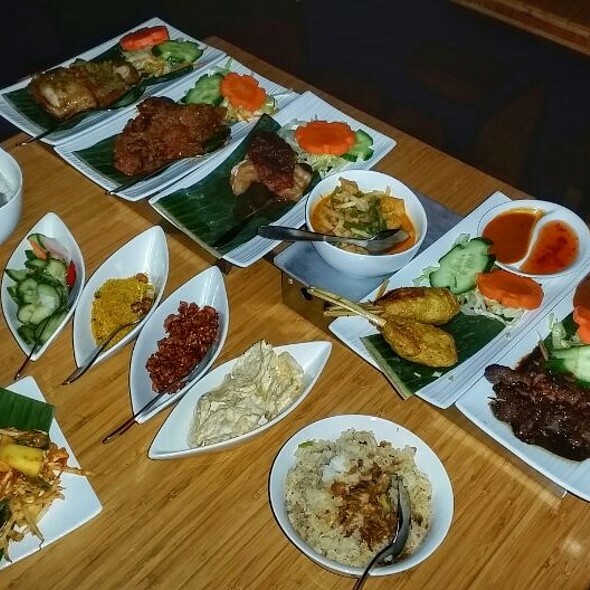 I've been hunting for rijstafel, the Indonesian "rice table," which is a collection of small dishes served family style. We've been to three restaurants so far, and this one is the best. There are many more restaurants serving rijstafel in Amsterdam, so I'm sure there are other great ones, but I like this one. Atmosphere is cozy and the service was good. One of the few places where I have no photos! This was a nice surprise in Nieuwmarket. They have a brief menu, but everyone is there for the fondue. The cheese fondue is decadently rich, as you would expect, but the surprise for me was the Steak Bern, which you cook at your table on a metal plate of Bearnaise sauce. So good. Mostly Dutch here, but they do have an English menu if you ask. Communal tables and a tight squeeze in this cafe, so don't bring a big bag! Dutch pancakes are very thin and can be simple: traditional ones are just cheese, or ham and cheese, or a little bit of fruit. But, in the name of excess, we start piling on the toppings! 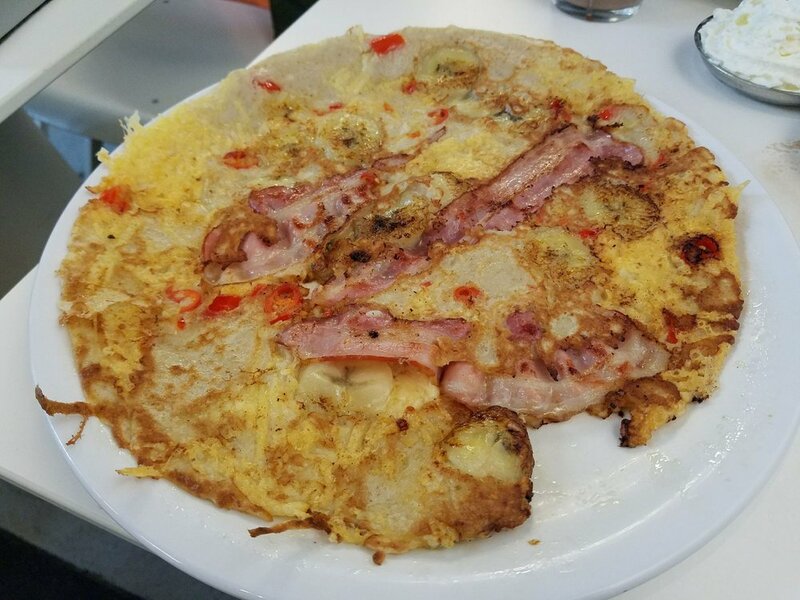 My favorite it number 11, with bananas, bacon, and chiles. I added grated Dutch cheese this time and it was fabulous. This is a "card only" establishment, but tips are accepted in cash. It's also first come, first served, which sometimes makes the queue awkward, because if there is a party of 6 next in line, they will wait until a table for 6 is open, even if they have several tables for two available. If you find yourself behind a large party, it doesn't hurt to step up to the front and ask about a smaller table. This is a charming little place near Dam Square with a spoken menu, so everything changes day to day. 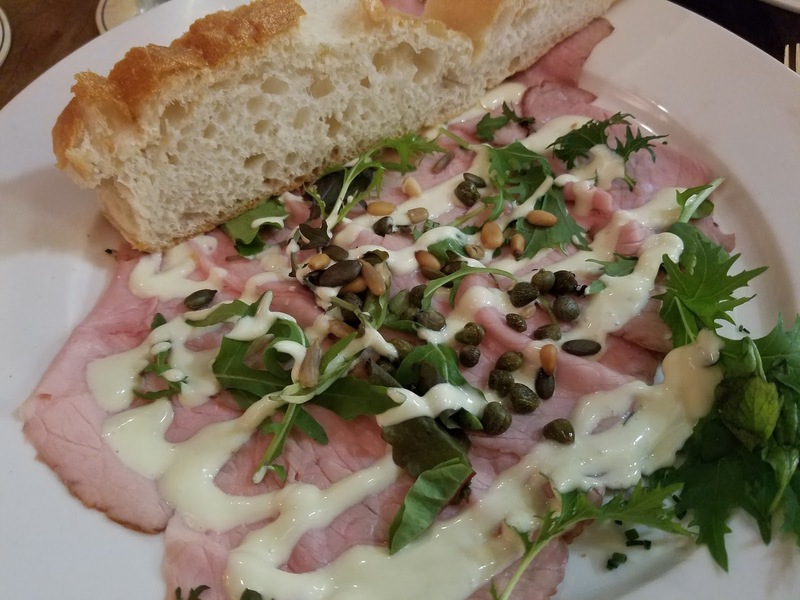 The servers are friendly and helpful, and the european style fare is a little bit lighter than the heavy Dutch food we spent most of the time eating. I'm looking forward to adding to this list next year at IFC 2018! This post originally appeared on Alice's Restaurants.